My teen wants to start babysitting. I want to understand how I can best prepare them for this responsible job? Each topic is endorsed by an industry professional. Meet our team. Michelle Fiddian has 13 years of industry experience: 6 years as a call-taker at the Triple Zero (000) Ambulance Service, 2 years as a first aid trainer for major organisations such as St John Ambulance, and 5 years running Little Aid since she started it in 2008. Author of First Year First Aid, Michelle wrote this book because the first aid training available wasn’t relevant to babies and children. The Sitter Train First Aid is written with this in mind. 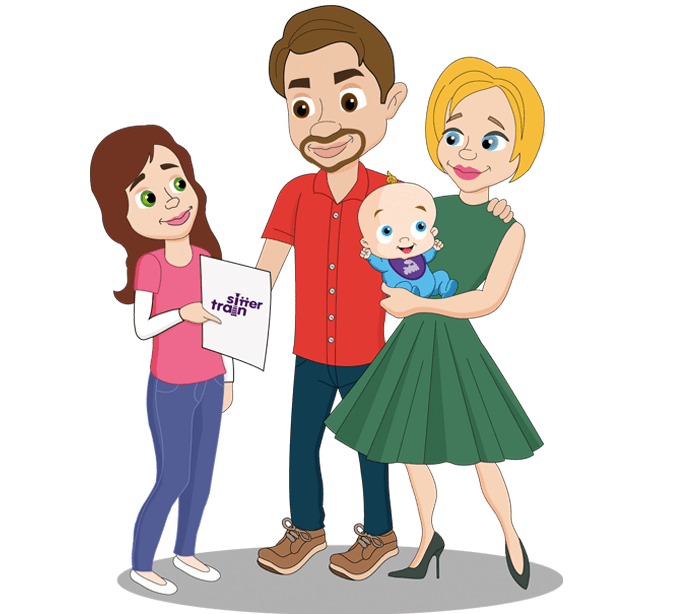 Kate is a dietitian with a passion for educating children, parents and carers to have a positive relationship with food and make family mealtimes more joyful. As a busy mother of four, Kate understands the stresses of life, work, family and healthy eating. Kate and her team behind Foost, believe that nutrition should not be so complicated, after all , it’s “just food”. With over 15 years of nutrition and dietetic experience, Kate enjoys media work and has appeared on TV, radio and print both in Australia and Overseas. John Lindross was a Physical Education Teacher and ran Outdoor Education programs in schools before opening Auscamp. Auscamp is now one of the largest providers of safe, exciting, innovative outdoor education and adventure programs in Victoria. John’s passion and success isbuilt upon providing children with innovative experiences in a safe environment. Georgina Cockburn was just like any other curious 15-month-old until she was accidentally run over and killed as a result of the injuries she sustained in her own garage.The Georgina Josephine Foundation provides a support network for families affected by low-speed vehicle runover accidents and works to prevent and reduce unintentional injury or death of children in such accidents through awareness and practical measures. While at university BJ Lamm took a part-time job as a swimming teacher and discovered he loved swimming and helping kids “learn a skill that would be with them for the rest of their lives”.”I wanted to do something meaningful. When he opened Starfish Swim Schoolhe said “Educating children on a life skill that can be enjoyed and used for safety is extremely reassuring” BJ has worked with Sittertrain to identify the practical scenarios carers can be faced with when looking after children in a water environment. .
What a wonderful course! Thank you Sitter Train for helping us settle our au pair into life in our family. We weren’t sure if we could spend the time needed to invest in teaching yet another au pair what to do but you did it for us! All we had to do was show her our timetable and certain things we liked our way! A lot of work has gone into the site to ensure you are receiving the absolute best advice and training. I have personally met with the founder of this wonderful resource and can vouch for its credibility, a lot of work has gone into the site to ensure you’re receiving the absolute best advice and training. Thank you Sitertrain for such a practical fun course. I loved how you put me in real life situations looking after a few kids at a time and unexpected things happen especially in the quizzes. It really helped me prepare for what its actually like being an AuPair. © 2018 SITTER TRAIN ® All copyright works including logos, images, text, and format are owned by Sitter Train® Pty Ltd and are not to be reproduced in any way without prior written consent.